Go ahead, rub it in. We’ve designed our Body Lotions to absorb readily and offer the highest performance. As with all of our products, 100% of the ingredients are actually DO-ing something for your skin. 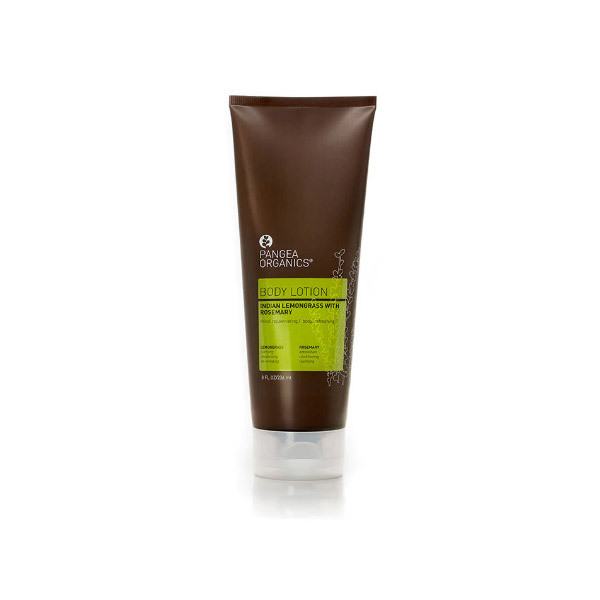 Organic Sunflower Oil, Shea and Cocoa Butters deliver essential vitamins and EFAs while providing ultimate moisture. For hydration and conditioning, rub into skin as needed. WATER, ALOE BARBADENSIS (ALOE VERA) LEAF JUICE*, PRUNUS AMYGDALUS DULCIS (SWEET ALMOND) OIL, GLYCERYL STEARATE, SODIUM STEAROYL LACTYLATE, CAPRYLIC/CAPRIC TRIGLYCERIDE, GLUCONOLACTONE, SODIUM BENZOATE, GLYCERIN, CITRUS AURANTIUM BERGAMIA FRUIT OIL*, LAVANDULA ANGUSTIFOLIA OIL*, CYMBOPOGON SCHOENANTHUS OIL*, CITRUS AURANTIFOLIA PEEL OIL*, BUTYROSPERMUM PARKII (SHEA BUTTER)*, POTASSIUM SORBATE, XANTHAN GUM, THEOBROMA CACAO (COCOA) SEED BUTTER*, HELIANTHUS ANNUUS (SUNFLOWER) SEED OIL*, MIXED TOCOPHEROL (VITAMIN E), SIMMONDSIA CHINENSIS (JOJOBA) SEED OIL*, BEESWAX*, ASCORBIC ACID (VITAMIN C), CALENDULA OFFICINALIS FLOWER EXTRACT*, LAVANDULA ANGUSTIFOLIA (LAVENDER) FLOWER/LEAF/STEM EXTRACT*, SAMBUCUS NIGRA FLOWER EXTRACT*, VIOLA ODORATA LEAF EXTRACT*, MELISSA OFFICINALIS LEAF EXTRACT*, GLYCYRRHIZA GLABRA (LICORICE) ROOT EXTRACT*, TRIFOLIUM PRATENSE (CLOVER) FLOWER EXTRACT*, MENTHA PIPERITA (PEPPERMINT) LEAF EXTRACT* *ORGANIC INGREDIENTS. THIS PRODUCT IS GLUTEN-FREE. ** **MANUFACTURED IN A FACILITY THAT MAY PRODUCE PRODUCTS THAT CONTAIN GLUTEN..